What is serendipity space? It’s the practice of mindfully leaving (and creating!) pockets of space in your schedule. 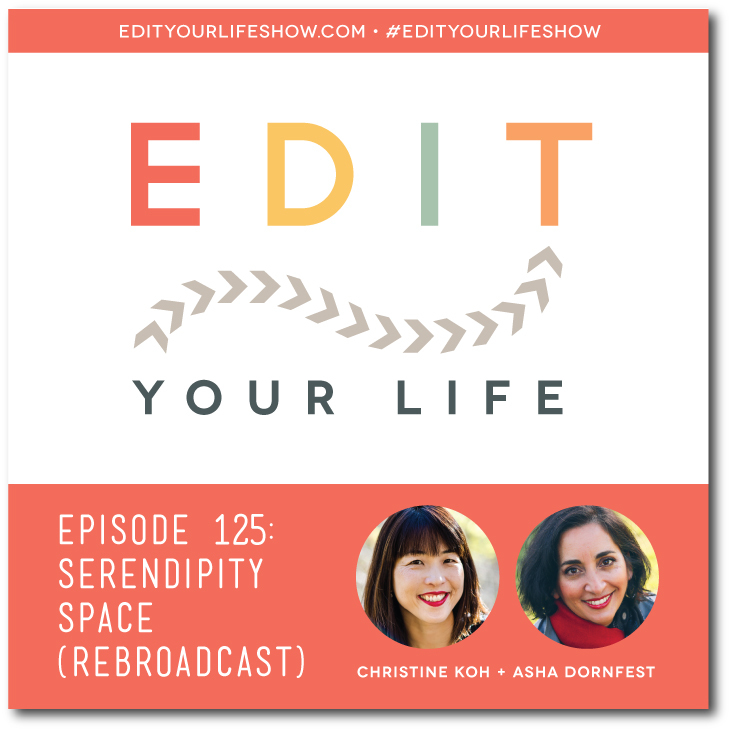 In Episode 125 of Edit Your Life, Asha and I rebroadcast one of our earliest episodes, during which we talk about serendipity space (a term we coined in Minimalist Parenting) and share tactics for how to create it in your life in order to reduce stress, foster creativity, and encourage spontaneity. What would you like to do more (or less) of in your life? Join the discussion on the Edit Your Life Facebook page (look for the Question Of The Week post pinned to the top of the page).